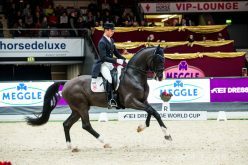 Reigning champion, Hans Peter Minderhoud, produced a sensational personal-best performance with Glock’s Flirt to win the ninth and last qualifying leg of the FEI World Cup™ Dressage 2016/2017 Western European League on home turf in ’s-Hertogenbosch, The Netherlands today. 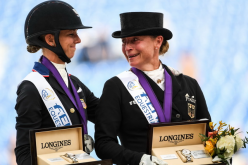 Presenting a sparkling new floorplan, the pair broke the extraordinary run of Germany’s Isabell Werth who had been unbeatable on her previous five outings in this hotly-contested series, but who had to settle for runner-up spot today with Emilio. 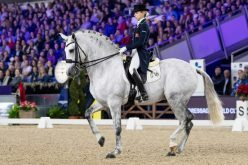 In third was Germany’s Jessica von Bredow-Werndl for whom impending motherhood seems to have simply raised her level of excellence as she steered Zaire-E through a fabulous test. And on a day when those last few qualifying slots for the Final in Omaha, Nebraska (USA) at the end of the month were decided, 2010 World Cup champion Edward Gal booked his ticket when fourth with Glock’s Voice. He lies ninth on the Western European League table from which the top nine make the cut. 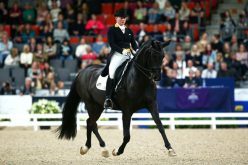 Von Bredow-Werndl’s (31) inspired ride, showing lightness, elegance and great connectivity, put a score of 80.165 on the board with just three more of the 15 starters left to go. 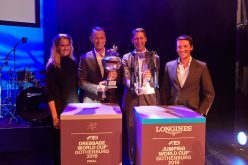 But when Werth (47) posted 83.300 despite two mistakes from her Gothenburg winner Emilio, it seemed she just might make it a magnificent six successes from six starts this season. 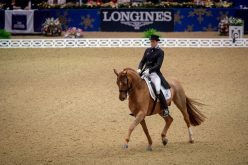 Second-last into the arena, Ireland’s Judy Reynolds and Vancouver K had an unsettled start to finish sixth in the final analysis. But, last to go, Minderhoud (43) and Glock’s Flirt just seemed to be in their element as clean, soft movements and the easiest of transitions earned the winning mark of 84.890. 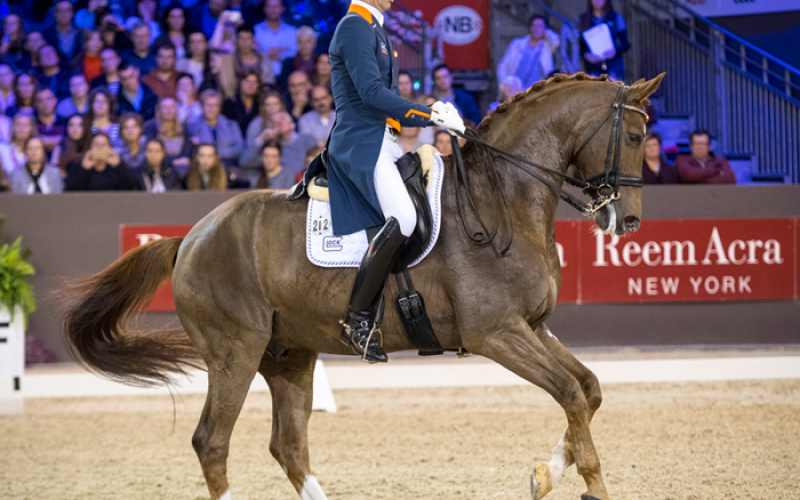 The knowledgeable crowd in the Brabanthalle at ’s-Hertogenbosch recognised the winning ride, giving the Dutch pair a standing ovation even before the score was announced. 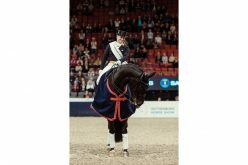 “This was my highest ever Freestyle mark, and my best test ever too!” said the delighted Dutchman who posted 82.357 to claim the 2016 FEI World Cup™ Dressage title in Gothenburg (SWE) 12 months ago. This new floorplan was specifically designed for Flirt, “and I was waiting all day to show it off!” the double-Olympian said. 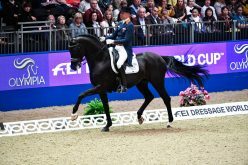 “The combination of movements really make this test just right for him – before we used a Freestyle belonging to Glock’s Tango, but this is so much better!” said the rider who is now aiming for a double of FEI World Cup™ Dressage titles in three weeks’ time. He has no illusions about what lies ahead of him, but today’s result has given him a big confidence-boost. “It’s going to be a really tough job to win again because the line-up is even better than last year, but my horse is in great form, and I’m definitely going for a place on the podium! !” Minderhoud said.